Jason A. Rothbart, M.D., F.A.C.O.G. Dr. Jason Rothbart is a board certified obstetrician/gynecologist offering a comprehensive practice of Obstetrics, Gynecology and initial workup and treatment for Infertility. 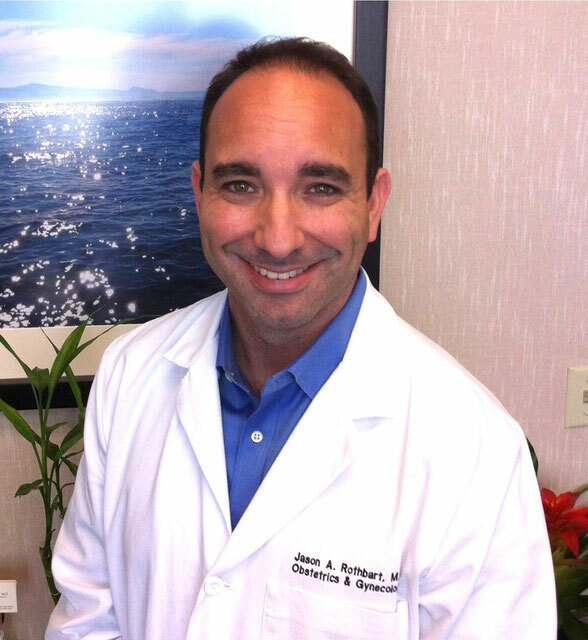 Born and raised in West Los Angeles, Dr. Rothbart is proud to be home and serving this community. His practice is conveniently located in Century City, between Santa Monica and Beverly Hills. Dr. Rothbart offers a gentle, compassionate and individualized experience for his patients. His pride in showing each patient genuine care, patience and respect instantly sets him apart. He is a rare breed of physician who truly loves what he does and it is apparent in the kind of medicine he practices. Extensively trained in Chicago and at the USC Los Angeles County Medical Center, Dr. Rothbart's wide breadth of knowledge, expertise and surgical skill complements his bedside manner to give his patients a complete and comforting experience.